Check out Little Secrets, the latest from Lil Twist which features a guest appearance from Bow Wow on the. The track was released on Friday, June 11th, 2010. Give Now or Later a listen - it's a new offering from DJ Spinking, featuring Lil Twist & Fatman Scoop. It was dropped on Tuesday, June 1st, 2010. Give Dope Boy Fresh a spin - it's the latest release from Lil Twist, having dropped on Monday, May 3rd, 2010. 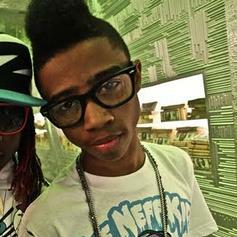 HotNewHipHop World PremiereHave you heard Lil Twist's new track On My Momma (Prod by Camron Reams)? It dropped on Sunday, May 2nd, 2010. Listen to The Leak (Part 2), the new track by Lil Twist featuring Young Jinsu which was dropped on Monday, April 12th, 2010. Check out Life Style, the latest from Lil Twist which features a guest appearance from Sean Kingston on the. The track was released on Wednesday, April 7th, 2010. Give Inkredible (Freestyle) a spin - it's the latest release from Lil Twist, having dropped on Wednesday, March 24th, 2010. Listen to Big Brother (Lil Wayne Dedication), a new offering from Lil Twist, which was released on Thursday, March 11th, 2010. Bump Wheredeydodat, the latest cut from Soulja Boy featuring Yung LA , Lil Twist on the assist. It was released on Sunday, December 13th, 2009. Listen to Blowin Rocks, the new track by Soulja Boy featuring Lil Twist which was dropped on Sunday, December 13th, 2009. Bump Really Good, the latest cut from Lil Twist featuring New Boyz on the assist. It was released on Saturday, December 12th, 2009. Listen to Where They Do That At, the new track by Lil Twist featuring Soulja Boy, Bow Wow, Yung Durty which was dropped on Saturday, December 12th, 2009. Check out Old Enough Remix, the latest from Lil Twist which features a guest appearance from Nicki Minaj Prod by Maestro on the. The track was released on Saturday, December 12th, 2009.